Properly maintaining a luxury vehicle like the Acura MDX will ensure your luxury vehicle continues to maintain its luxurious finished in peak condition. Syosset drivers love the appeal of a luxury model, and opting for a Acura at Acura of Huntington is the right way to go. 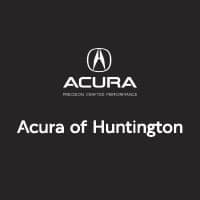 When you want to learn more about the luxury %%di_make%% models, contact Acura of Huntington or pay us a visit near Plainview to keep your vehicle in top shape. As for the rest of the vehicle like the tires, check out our guide to tire care!